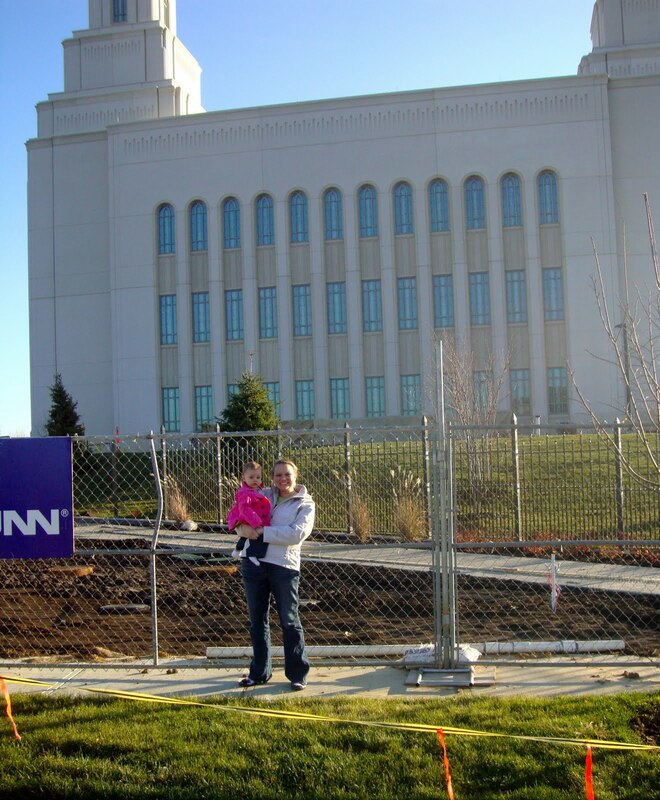 LEAH'S LIFE: I'm not in Kansas anymore! 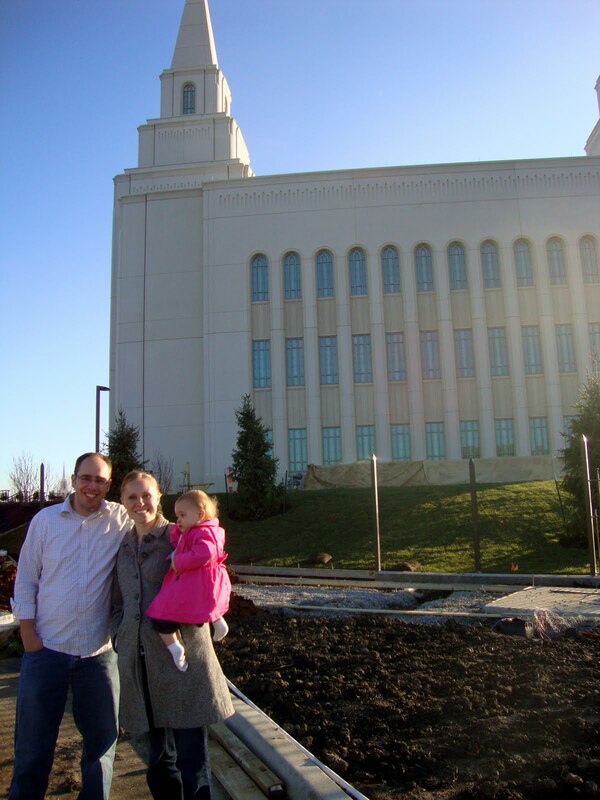 For this Thanksgiving season I flew out to Kansas to visit my Sister Alison, Brother-In-Law Jake, and their daughter Annie (to who I am pretty much obsessed with). It was so much fun! It took about 0.6 seconds for Annie to warm up to me once Alison picked me up from the airport. We played and played and played some more. She is 15 months and VERY entertaining. I mean just look at her! I will spare all of you with the details of my stomach problems but let's just say it was the worst day ever to have the stomach flu (self diagnosis). The next day I was feeling just fine and was able to eat the yummy leftovers and played some more with my adorable niece. She knows so much baby sign language it amazes me! She also says whatever you ask her to. But I think some of her favorite words are "Help (sounds like elp), Love you, elmo, more, and WOW!" She also gives the best kisses! She will lean in for a kiss and say Muwa! My heart melts! I also loved how she would follow me around wherever I went. We had too much fun! I think Alison was a little concerned about me during some playtime moments with her daughter. Especially when I put a piece of cloth over my head and was talking to Annie in monster voices. She only looked slightly concerned but then laughed at me. Oh Annie, Aunt Lele loves you! 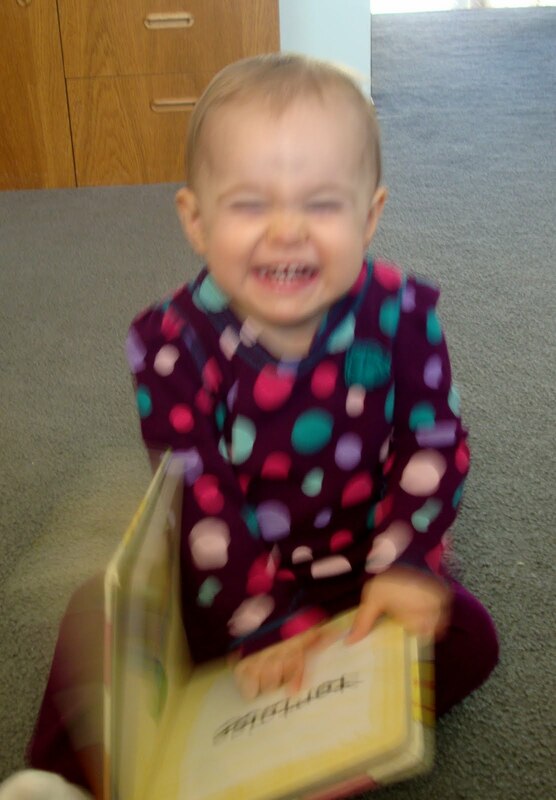 Even though this picture is blurry, it's so fun because it truly shows just how much this girl loves books. 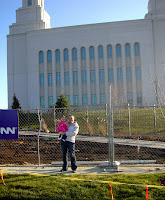 I could tell you a lot more stories about my trip and how adorable my niece is, but I'll spare you. So here are a few more pictures instead! 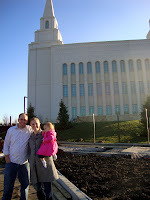 Thanks for letting me visit Jake, Alison, and Annie! While flying back to Utah I was reading my Ellen Degeneres book. I decided to put the book away because I was trying not to annoy the people around me by laughing so much. So I start looking at the skymiles.com magazine tucked away next to the "in case of an emergency" flight plans. I was not expecting the magazine to be almost as entertaining as my book but there were so many funny overpriced items they were trying to sell. I couldn't help myself and take some pictures of these products to share with all of you. The older woman who was sitting next to me on the flight kept looking over at me and was most likely thinking "This girl is so strange. . .first she sits here and laughs at the book she is reading, then she busts out the skymiles.com magazine and starts taking pictures out of it? Who is she? and why is she so strange?" In my head my response to her was "Don't worry lady I totally saw you looking at my book trying to figure out what I was laughing about! Just don't you worry about me, and you continue reading the highlights children section of your magazine, by the way the hidden object you can't find is clearly in the tree!" Sorry I got side tracked. But here are the items you can purchase. 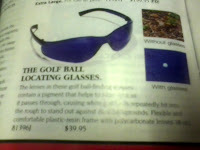 Golf ball locating glasses $40.00 YES! Now I can find all those golf balls! 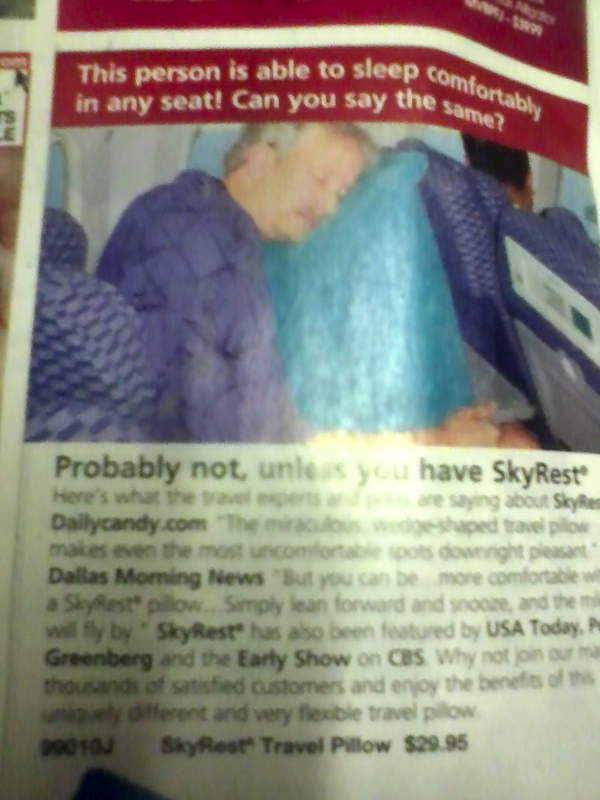 I totally need this GIANT pillow to sleep on during the plane ride. Pretty sure they would have made me check this instead of actually using it! Street Strider the elyptical that moves with you! Seriously?!?!?! 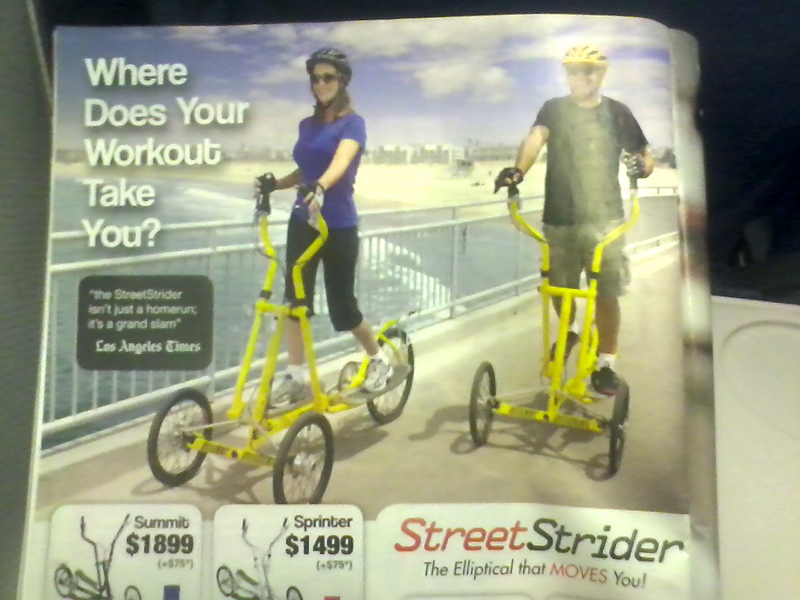 Just ride a bike! 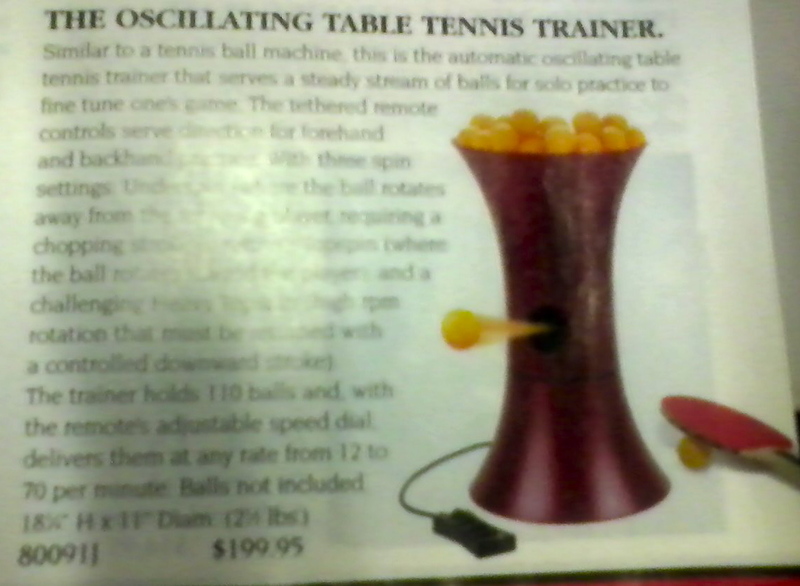 My feelings are if you are able and willing to spend $200.00 on something like this, bribe people to be your friends to play table tennis with you instead! 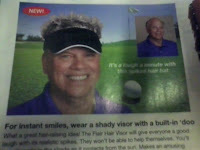 "For instant smiles, wear a shady visor with a built-in 'doo"
Check it out! 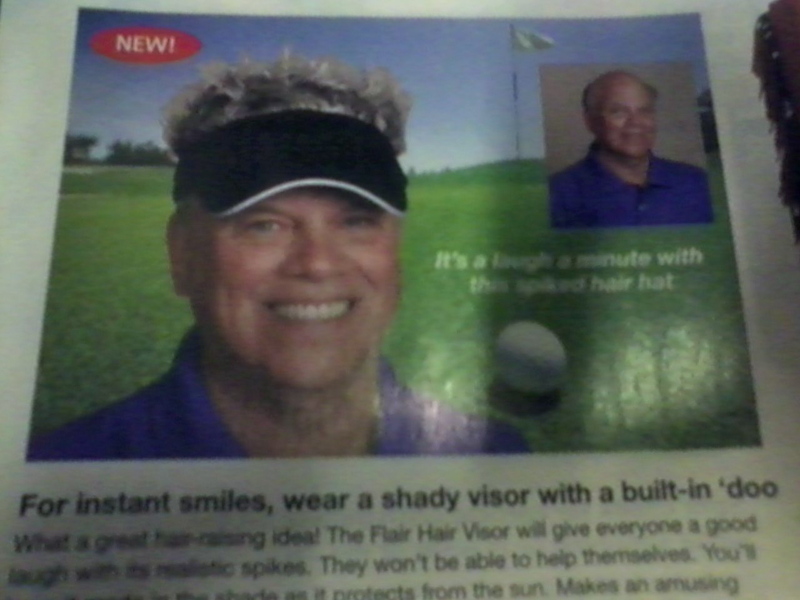 Instant hair! 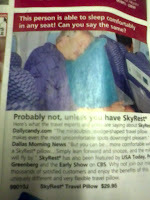 Ok skymiles.com now you are just making fun of yourselves!